FOAM Coed – for the players looking to get out and be active. Leagues are 50% Games 50% Social. It’s a party! Rubber Coed – for our more serious players who love the thrill of victory and loath the taste of defeat! Games are a little more intense and teams more organized. Dodgeball teams vary in size based on which type of league it is. We allow individuals, small groups and teams to all join our leagues. DC Fray reserves the right to add additional players to ANY team that is under the official roster size for the league. During registration captains can pick up free agents or mark their group as ready to merge via commish. After registration closes DC Fray goes through and finalizes rosters by placing free agents, merging groups and deleting unpaid players. Being a promoted team does not mean you may not receive additional players. Teams who want to “lock” their roster may prepay for a team at the official roster size. Example, rubber dodgeball is 14 players officially but your team only wants 10 players. You can purchase a team spot for a roster of 14 and only fill your desired number but those additional spots are technically used and are not refundable. Dodgeball teams will consist of 6 players on the court at one time, two of which must be females. Six (6) foam balls will be used during play. The objective for both teams is to eliminate all of the players on the other team to win a round. Teams play as many rounds as they can in their allotted 35min match, after which the team who has won the most number of rounds will be declared the winner of the match. Substitutions will only be allowed in-between rounds. Because of these policies all registrations are on a first come first serve basis and any roster that does not reach our standard size (based on each sport) is eligible to receive free agents and or small group by the league. Rosters made up of primarily free agents and or a collection of small groups may field more players than the standard roster size. This policy is in place to help ensure free agent teams are able to consistently field teams each week. 1. All players must be at least 21 years of age prior to participating in any Match and must be registered and in good standing with DC Fray (herein: “DC Fray” or the “League”). 2. Rosters must include no fewer than 6 players (4 men / 2 women), but may have as many players on the roster as a team chooses with no other restrictions (30 women and 4 men is okay). 3. Note: If a team of “free agent” registrations is assembled by the League, it will have no more than 12 players, consisting of a maximum of 6 men and 6 women. 4. Each team may play up to 6 players in each Game, with at least one woman on the court, and a maximum of 4 men on the court. 5. A team MUST play at least 3 players at the start of each Game. 6. Acceptable combinations are: 4 men/2 women, 3 men/0-2 women, 1 man/2-5 women, 0 men/3-6 women. iii. If a team has players in attendance and they are capable of playing, then they must do so. 1. Only players who are on the court at the start of each Game are allowed to play in that particular Game. 2. Exception: In a case of in-Game injury, another rostered player from the same team and of the same gender may substitute mid-game for the injured player. 3. Teams may substitute rostered players between games. 5. All “fill-in” players must be registered and in good standing with the League. 6. The use of substitute players above the 3 player minimum is at the discretion of the opposing team’s Captain. 7. Each Match in which a team fails to meet the 3 player minimum, uses an illegal sub w/o the consent of the opposing team’s captain, or is not present by 5 minutes past their designated start-time shall be ruled a forfeit in favor of their opponent. 8. During the playoffs, teams may not use subs and may only use players on their roster. 9. Playoff Eligibility: teams that notch 2 or more forfeits during the regular season will not be eligible for the playoffs. As an adult dodgeball player, it is your personal responsibility to never allow yourself or your teammates to cross that line between fun competition and unsportsmanlike behavior. 1. Dodgeball is a self-regulated game that relies on the Honor System. If you are out, you are expected to raise your hand and go out without anybody else telling you to do so. 2. If one of your teammates is out (knowingly or not) and does not go out, it is your responsibility to tell them to do so. 3. Referees are used to rule on unclear plays, settle disputes, keep the game moving and ensure player safety. While they will at times let you know if you are out, a lack of a call by a Referee does not remove your obligation to abide by the Honor System. 4. Players must treat their fellow dodgeballers, Referees and spectators with respect and courtesy. Personal and malicious remarks directed at anybody in the dodgeball community, obscene or otherwise, at any time, have no place in the League. Please no yelling at the other team, the referees, or whomever. Remember to have fun! 5. Players must respect the authority of the Referees to regulate the game and abide by their decisions. Referees’ decisions are final. 6. The only time a Referee’s decision may be overturned is during “objectively incorrect calls” I.E if a new referee declares you are “out” after catching a ball because they were unaware of the catching rule. 7. If an objective error is made ONLY the Captain(s) of the team(s) may approach the referee to cite the rule and request a change of call. 8. Team Captains must be the only players that address concerns to Referees and League Officials. They are expected to do so in a courteous and respectful manner, and to confine their discussions to objective interpretations of the rules and not challenge Referees’ decisions regarding judgment or subjectivity. 9. Players are expected to comply with the intent and spirit of the rules. Deliberately attempting to violate the rules is unacceptable. 10. Teammates rely on players attending games. If you fail to attend at least 3 games with no excuse, you may be replaced on the roster if both the captain and league management agree that it is best for your team. 1. DC Fray Foam Dodgeball is played with 6 balls per Game. 2. The official ball used in game play will be an 8.5’’ foam ball. 3. Only balls provided by the League will be allowed in play. 4. Players must wear non-marking closed-toe athletic shoes. 5. Teams are encouraged to wear the t-shirts provided by USS during League play. 6. If plastic knee pads are worn, they must be covered with a non-marking adhesive. 7. No gloves or other hand/finger coverings of any kind may be worn during games unless medically necessary. 1. DC Fray Foam Dodgeball is played on racquetball courts. 2. “Attack” lines for each team shall be marked 4 feet from the center line. 3. “Out Lineups” for each team shall be aligned with the respective teams’ corner baselines. 1. Each team shall identify one team captain to the referees prior to the Match. 2. Only a team captain may speak on behalf of their team to referees and league officials. 3. Team captains are expected to address referees and league officials in a respectful manner, and are strongly encouraged to wait until times of play stoppage to raise any questions or concerns. 4. 1 Referees will be positioned, during game play, at the center line, on one side of the court. 5. A Referee’s primary responsibility is to serve as an arbitrator for difficult calls, start and maintain game flow, ensure safety of all participants and spectators, and enforce the Sportsmanship Code. It is the PLAYERS’ responsibility to remove themselves from games when Out – not the referee’s responsibility to call them out. 6. Referees have the authority to eject anyone before, during and immediately after any match they are officiating if they feel it is warranted. This should never be necessary (see Code of Sportsmanship). 7. Referees have sole discretion to call a timeout for injury or otherwise. 8. A restart after a timeout should occur with all players on their respective back lines. Players may have in their possession any balls that were on their side when the timeout was called. 9. If a referee cannot determine what side of the court a ball or multiple balls were on at the time the timeout was called, those balls should be placed at center court for a rush. 10. All decisions made by referees are final. 1. Prior to a Match, the team captains and referee shall meet at center court for introductions and to review any rules that need clarification. 2. Immediately prior to the start of every Game, six balls shall be placed on the center line such that three balls are on one-half of the court and three are on the other half. 1. Players will line up at the baselines on their respective sides of the court, touching the wall. 2. A signal from a Referee will signal the beginning of the game, at which time teams may approach the center line to retrieve the balls. 3. Teams may only retrieve the three rightmost (from their perspective) balls on the court. 4. Once a ball is retrieved, the retrieving player must clear it by touching the ball against the baseline wall before it can be legally thrown. Bouncing the ball against the wall is permitted, as are toss-backs if the a teammate is touching the wall at the time of receiving the toss-back pass. 5. If a ball remains on the center line for ten seconds after the initial referee whistle, it may be retrieved by either team and does not have to be cleared. 6. Players must throw balls from behind the attack lines (4 feet back from the center line) to get an opposing player Out. Any throw made over the attack line will be ruled and illegal throw and any opposing player hit by the thrown ball shall remain In, with no penalty to the thrower. 2. The center line. Stepping over it means you’re out. 1. Players may have up to 2 balls in their possession at once. 2. If a ball is in a player’s possession, that player must throw a ball across the center line within 5 seconds. 3. If a thrown ball does not cross the center line before hitting the ground, then the thrower will be declared out. 4. Players may pass a ball in their possession to other players on their team. 5. Nudging, rolling, pushing, kicking, etc. a ball to another player is permitted (it keeps the pace of the game moving). 1. When players are Out, they must proceed immediately to the Out Lineup. 2. Players that are Out are to line up in order from the center line on their side of the court. 3. Those in the Out Lineup must return any balls that enter the Out Lineup to the playing area without delay. 4. Players returning to the court from the Out Lineup are in play once they touch the back wall of their baseline. 1. A 35-minute time limit has been established for each Match in regular season league play. Teams will play as many games as possible during that time. 2. Teams have 5 minutes after the Match time clock has started to satisfy the 5 player minimum. If they fail to do so within that time, a forfeit will be recorded. 3. No Game will start with less than a minute remaining on the 35-minute game clock. 4. Once a game is started, it will be played to completion. 5. Due to time restrictions in the gym, the game clock will begin at the scheduled start time. If there are circumstances beyond a team’s control (i.e. anything not associated with players not being on time), league management will have the game clock start later than the start time. 1. The Referee will be the official timekeeper. The referee will announce the remaining time at the ten (10) and five (5) minute marks. 2. Teams will switch sides after 20 minutes have passed on the official clock. 3. Games end when all players have been eliminated from one team. 1. The team that wins the most Games is declared the winner of the Match. 2. Ties will result in a tie-breaking game. 3. During the playoffs, all Games will be played as a Best-of-X format as determined by the League that season. All games will be played to completion. 4. The official Match score will be recorded by one of the game referees. 5. Team Captains must sign off on the score sheet at the end of their Match. Should the captain disagree with the recorded game result, they need to discuss with League management at the conclusion of the game. 1. A player is Out when an opponent throws a ball that hits the player before hitting anything else, and the player is unable to catch it before it touches the ground, wall, ceiling, another ball, or any other object other than a fellow team member. 2. A Save occurs if a player is hit by a ball, but after the hit, and before the ball touches the ground, wall, etc, a teammate catches the ball in bounds. Neither the thrower nor the hit player is Out and no Out players return to the game. 3. Players may deflect a thrown ball with a held ball and not be called Out. However, if the player does not retain control of the held ball (so that the ball touches the floor, wall or any other non-human object), he/she is Out. Clarification: Once a thrown ball has been deflected off of a held ball, it is considered “dead”, meaning that even if it then hits the player, that player is not out (nor can the ball then be caught to eliminate the thrower). 4. A ball that hits the floor and a player at the same time does not result in an Out. This is known as a “trap,” and the referee should immediately communicate to both teams that all players are Safe. 5. If a player has thrown a ball before they are hit, that ball is live and can cause an out (by catch or hit). 1. A player is Out when an opposing player catches a ball they threw, in bounds, before it touches another player, the ground, wall, ceiling, another ball, or any other object. 2. When a player makes a Catch, the first player in the team’s Out Lineup may return to the game. 3. Players must return to the Game in the order in which they got Out. 4. Players must be Out at the time of the Catch to be able to be caught back in. 5. Players returning to the Game out of order, intentionally or not, will be called Out. 6. A ball that is “trapped” against the floor does not result in an Out or player return (all players are Safe). The referee should immediately communicate to both teams that all players are Safe. 7. A player may catch a ball while already holding a ball. 8. A player may legally drop a ball to attempt a catch. 1. Players who are Out must quickly leave the court, indicate they are Out by raising their arm, then line up in the Out Lineup in the order in which they got Out. 1. Although considered to be of generally poor taste, headshots are permitted in this foam league, and will be treated like any other hit. Players should NOT consider the head to be a viable target unless an opposing player is in a crouched or prone position. If it’s obvious that a player is intentionally and consistently aiming for an opposing player’s head, that player shall be given a warning. If the throwing player persists, s/he will be called “out.” Three (3) outs in this manner will result in player ejection from the match. 2. Essentially, place nice and have fun! 1. Players must move the ball across the center the line within 5 seconds of physical possession. Referees should give a verbal warning when 5 seconds is reached. If a player does not throw the ball after the verbal warning, that player shall be called Out. Clarification: This rule is intended to keep the game moving if teams/players are intentionally stalling, not as a method of having people called out. If a captain feels that the other team is holding the balls significantly longer than 5 seconds, they should calmly inform the referees so that they may properly monitor/enforce any concerns. 2. Each possessed ball has its own slow play count. 3. Players must make an effort to retrieve and throw stagnant balls. If no effort is made, then the balls around the player will be considered possession and the player will be declared Out after 10 seconds. 4. All Balls on One Side: When all of the balls are on one team’s side of the court, a team has 10 seconds to put a ball into play on the other team’s side of the court, even if none are possessed by a player. Should the team fail to put a ball into play, the referee will declare the opposing team the winner of that game. 5. A player may not “pinch”, “scrunch” “or grab the ball tighter than necessary to throw or to catch it. Normal force should be used while holding the ball. 1. Spectators and players from other teams are not to interfere with game play. 2. If a ball strays from the court, spectators and players from other teams must without delay redirect the ball back into play at the nearest location. 3. Failure to obey this rule gives the referees the authority to ask spectators and players from other teams to move to another location. 4. Unless there is a court that is not in use, players are not allowed to warm up (by throwing dodgeballs) inside the gym while matches are being played. 5. Players who are hit but interfered with from a non-teammate shall not be called out. 1. Referees and League Management have the authority to issue warnings and eject players. 2. Referees shall signal and can stop the game for all warnings. 1. Warning: No penalty, but if the behavior is repeated, the result could be a player being called Out or ejection. 2. Ejection: If a player is ejected before or during a game, the player may not play for the rest of that day/night. If a player is ejected after their game is complete, they will be ineligible to play the rest of that day/night and the following week. 3. If player ineligibility due to ejection causes a team to become unable to meet minimum player requirements, then it will result in a forfeit loss. 1. Intoxication: If League Management or a referee has reason to believe a player is intoxicated while playing, that player will be ejected. 2. Drug or Alcohol Use: if a player is witnessed consuming alcohol or illegal drugs at the playing facility, that player will be ejected. 1. Communication with opposing teams is highly encouraged, but any and all communication should be of a positive nature. Negative communication, whether verbal or non-verbal, including foul or abusive language, arguing, gestures, pointing, etc., shall result in a penalty. Dodgeball is a game made up of two teams of eight players each. The objective for both teams is to eliminate all players from the opposing team. A team wins a Game when they have eliminated all players from the opposing team. The team winning the most Games played during a standard 30–minute contest will be declared the Match winner. The League may adjust time limits depending on the circumstances of a particular season. 1. All players must be at least 21 years of age prior to participating in any Match and must be registered and in good standing with United Social Sports (herein: “DC Fray” or the “League”). 2. Rosters must include no fewer than 10 players (6 men / 4 women) but may have as many players on the roster as a team chooses with no other restrictions (14 women and 4 men is okay). Note: If a team of “free agent” registrations is assembled by the League, it will have no more than 18 players, consisting of a maximum of 8 men and 8 women. 3. Each team may play up to 8 players in each Game, with no more than 2 more male than female on the court, with a maximum of 5 men on the court. A. Teams need 4 players to field a full team and not forfeit (This can include up to 2 sub-in players). Minimum req. for that is 1 girl (# guys = # girls +2)..
B. If a team has players in attendance and they are capable of playing, then they must do so. 4. Only players who are on the court at the start of each Game are allowed to play in that particular Game. Exception: In a case of in-Game injury, another rostered player from the same team and of the same gender may substitute mid-game for the injured player. 5. Teams may substitute rostered players between games. 6. During the regular season, if a team does not have enough players from its own team a team may use no more than 3 “fill-in” players. A. All “fill-in” players must be registered and in good standing with the League. 7. The use of substitute players above the 4 player minimum is at the discretion of the opposing team’s Captain. Teams can recruit up to 2 subs max if they have less than 8 players in attendance for a match. For example, if a team has the 4 player minimum then they can recruit 3 additional players to play with 7. 8. Subs cannot be the last player in the game on their side. If they are the other team wins that game. 9. Each Match in which a team fails to meet the 4 player minimum OR uses an illegal sub shall be ruled a forfeit in favor of their opponent. 10. During the playoffs, teams may not use subs and may only use players on their roster. 11. Playoff Eligibility: teams that notch 2 or more forfeits during the regular season will not be eligible for the playoffs. 12. Player Additions: Teams are allowed to add additional players to their team up until Week 5 of the season, due to injury or extreme circumstances for existing players. Once Week 5 is in the books, rosters are locked. 3. *Player Reffed league – this dodgeball league relies on Player reffed games as a part of the league experience. 4. *Two teams per week are responsible for ALL the reffing. They are required to provide four players to call the games, two of which must have attended a ref clinic before the start of the season. One team’s refs take care of the first part of the night, the other team’s refs take care of the second part of the night. Ref weeks for the teams are known once the schedule is published. Failure to provide referees may result in forfeiture of a match, or disqualification from the playoffs. Individual players are able to volunteer to ref more than their assigned games but must clear it with the league host(s). 5. Referees are used to rule on unclear plays, settle disputes, keep the game moving and ensure player safety. While they will at times let you know if you are out, a lack of a call by a Referee does not remove your obligation to abide by the Honor System. 6. Players must treat their fellow dodgeballers, Referees and spectators with respect and courtesy. Personal and malicious remarks directed at anybody in the dodgeball community, obscene or otherwise, at any time, have no place in the League. 7. Players must respect the authority of the Referees to regulate the game and abide by their decisions. Referees’ decisions are final. A. The only time a Referees’ decision may be overturned is during “objectively incorrect calls” I.E if the referee declares you are “out” after catching a ball because they were unaware of that catching rule. B. If an objective error is made ONLY the Captain(s) of the team(s) may approach the referee to site the rule and request a change of call. 13. Tip your bartender. Nancy takes good care of us, so let’s take care of her! Here is the roster size chart for Capital Dodgeball. And click here for a list of all sports and their roster size policies. 1. DC Fray Dodgeball is played with 6 balls per Game. 2. The official ball used in game play will be an 8.5” rubber playground ball. 5. Teams are encouraged to wear the t-shirts provided by DC Fray during League play. 6. If plastic kneepads are worn, they must be covered with a non-marking adhesive. 7. No gloves of any kind may be worn during games unless medically necessary. 1. DC Fray Dodgeball is played on approximately volleyball sized courts. 2. “Attack” lines for each team shall be marked 6 feet from the center line. 3. “Out Lineups” for each team shall be aligned with the respective teams’ baselines. 3. Team captains are expected to address referees and league officials in a respectful manner and are strongly encouraged to wait until times of play stoppage to raise any questions or concerns. 4. 2 Referees will be positioned, during game play, at the center line, on opposite sides of the court. 5. A Referees’ primary responsibilities are to serve as an arbitrator for difficult calls, start and maintain game flow, ensure the safety of all participants and spectators, and enforce the Sportsmanship Code. It is the PLAYERS’ responsibility to remove themselves from games when Out – not the referees’ responsibility to call them out. 10. All decisions made by referees are final. If there is no definitive call, there is no call. 1. Players will line up behind the baselines on their respective sides of the court. 4. Once a ball is retrieved, the retrieving player must clear it behind the 6-foot attack line before it can be legally thrown. To be cleared, a player in possession of the ball must touch the ground behind the 6-foot attack line with the ball while that player is still touching the ball (i.e. bouncing the ball behind the line does not clear it). If a player throws a ball that has not been cleared, that player will be declared out. 5. If a ball remains on the center line for ten seconds after the initial referee whistle, it may be retrieved by either team – but must still be cleared. 1. During play, all players must remain within the boundary lines of the court. Players who make physical contact outside of the court boundary lines for any reason will be declared out. Exception: See ball shagging below. 3. If a player controls a catch while maintaining contact with the court, then falls out of bounds after completing the catch, the catch will be valid AND the player who has left the court will be Out. 4. Mistaken Out Exception: should a player leave the boundary to go to the Out Lineup and then be judged to be Not Out by the referee, that player may return without being declared Out for the Out of Bounds infraction. 1. Each player may only have 1 ball in their possession to throw. Players may possess 2 balls if the second ball is obtained by a catch, but s/he must immediately pass or discard the second ball after the catch is made. 2. If a ball is in a player’s possession, that player must throw the ball across the center line within 5 seconds. This is a loose 5-seconds and is intended to keep the game moving along and to prevent players from stalling. Players that are actively engaged in play (deflections, etc.) shall not be called on the 5-second rule. This rule is plainly in place to prevent stalling. 3. If a thrown ball does not cross the center line before hitting the ground, then the thrower will be declared out. This rule shall only be in effect when there are 6 or less people on the court. 4. Intentionally throwing the ball out of bounds or high up in the air as a distraction technique is prohibited, and will result in a warning. No player may be called out if distracted by a throw like this. Future infractions will result in the player being called Out. 5. Players may not pass a ball in their possession to other players on their team unless they have just made a successful catch resulting in the possession of a second ball. A ball is considered to be in a player’s possession if s/he picks it up off the floor or places his/her hand on the ball for more than one second with the clear intent of picking up the ball. 6. Nudging, rolling, pushing, kicking, etc. a ball to ANOTHER player or teammate is permitted (it keeps the pace of the game moving). 7. If a player is squatting over a ball, rolling it along with him/her, or gives any clear indication that they intend to pick up a ball but are obviously stalling to subvert the 5-second rule through rule-manipulating tactics shall be given ONE warning by the referee, after which that player shall be called OUT. 8. Bouncing a ball across the center line with back-spin in an effort to reacquire possession and subvert the 5-second rule is not permitted and the offending player shall be called OUT. A. A player must exit from the back of the court. B. A player may only leave the court with the intention of retrieving a ball. If a player runs or jumps out of bounds in an attempt to dodge (or catch) a ball, but acts as though they were going out to pick up a ball, they will automatically be ruled out. C. The player has no more than 5 seconds to retrieve the ball and return to the court. If a player fails to return to the court within 5 seconds, they will be called “Out”. D. When returning to the court, a player must enter at the back of the court. E. When retrieving an out-of-bounds ball, a player may roll back into play any number of balls, but should only carry one ball back into play with them. F. When players are retrieving a ball out of bounds, it is considered in poor taste to throw at them; they must be given a chance to get back on the court. 2. To retrieve balls outside of the court, teams should use ball retrievers and members of their team not in the game. 3. Ball retrievers may not step or reach within the boundary lines for any reason. Should they do so, the offending team must forfeit a ball to the opposing team. 4. Ball retrievers and players in the out lineup must stay on their team’s half of the court. Unlike players on the court, they are not allowed to reach over the center line to collect a ball. 5. Ball retrievers must immediately return balls into play without delay. For example, retrievers may not hold onto balls or leave them out of play until their teammate is ready for a ball. 6. When returning a ball to the court, balls should be rolled into play to avoid distracting players that are still in. 1. For the purpose of this section, the Center Line shall be considered to extend infinitely in either direction of the actual marked Center Line on the court. 2. A player touching the opposing team’s area (in or out of bounds) will be called out. 3. Players may lean into the opposing team’s area, but no part of the player’s body may touch the ground on the opposing side for any reason. Players that make contact with a ball that is in possession of an opponent will be declared out. 4. Players who cross into the opposing team’s side of the court will be called out. A. If a player throws the ball before unintentionally stepping across the center line, the throw (and possible subsequent catch) will count. B. A “suicide,” or the act of intentionally crossing the center line and throwing the ball before they have touched the ground, is not allowed and a player attempting it will be called OUT. 5. If a player is able to control a catch on his/her side of the court and then falls to the other side immediately thereafter, the catch is considered valid but the player is then ruled Out for having crossed the center line. 1. 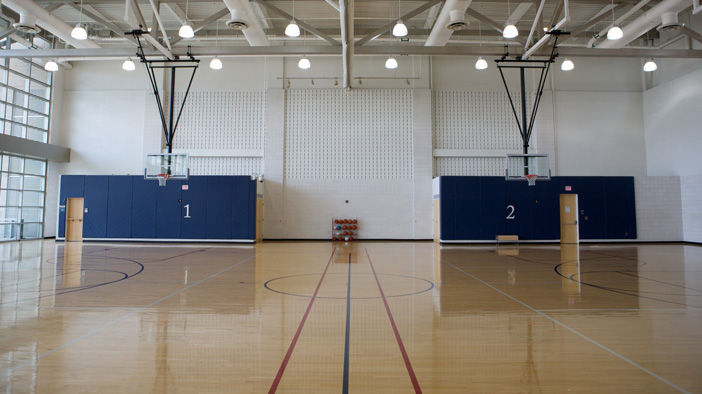 When players are Out, they must proceed immediately to the Out Lineup, an area adjacent to the court. 2. Players that are Out are to line up in order from the wall such that the first person to be Out is lined up nearest to his/her team’s baseline. 4. Players returning to the court from the Out Lineup are in play once they step onto the court. 1. A 30-minute time limit has been established for each Match in regular season league play. Teams will play as many games as possible during that time. 2. Teams have 5 minutes after the Match time clock has started to satisfy the 4 player minimum. If they fail to do so within that time, a forfeit will be recorded. 3. No Game will start with less than a minute remaining on the 30-minute game clock. 1. The Referee will be the official timekeeper. The referee will announce the remaining time at the fifteen (15), five (5) and one (1) minute marks. 2. Teams will change sides after 15 minutes have passed on the official clock. 2. During the playoffs, all Games will be played as a Best-of-X format as determined by the League. All games will be played to completion. 3. The official Match score will be recorded by one of the game referees. 4. Team Captains must sign off on the score sheet at the end of their Match. Should the captain disagree with the recorded game result, they need to discuss with League management at the conclusion of the game. 4. A ball that hits the floor and a player at the same time does not result in an Out. The referee should immediately communicate to both teams that all players are Safe. 6. Pinching: “Pinching” is the act of squeezing a ball in order to alter its flight when thrown or to gain a better grip on the ball. While holding a ball, players’ fingers must remain extended so as to “palm” the ball. A player will be called out for pinching, whether or not the player has thrown the ball, while players hit out by a pinched ball will not be declared out. A pinched ball that is caught will still count as a caught ball. Players caught intentionally “pinching” the ball will first receive a Team warning. Any further violations will result in the offending player being ejected for the night. 7. Slapping / Punching: Slapping / punching the ball is the act of striking the ball with an open or closed hand or arm in an attempt to get a player out. This is NOT considered a valid throw attempt. Players caught slapping or punching the ball will first receive a team warning, and further violations will result in the offending player being called Out. 1. “The Head” is any area above the shoulders and includes hair, sweatbands, neck, etc. If a player is struck on any part of the head with a thrown ball while in a Substantially Upright Position (a “Head Shot”), the thrower of the ball shall be out, while the recipient of the Head Shot shall remain in the game. A. Exception: When the hit player was already out but still on the court, the player will remain out, but the thrower will also be called out. (see head shot timing below). B. Exception: When a player is unintentionally kneeling or lying on the ground, a head shot will be called if the ball is thrown after the player is in that position. 2. A “Substantially Upright Position” includes anything at or above an “athletic position”, which may include slightly bent knees and a slightly angled back. 3. Complete discretion about whether a player was struck in the Head while in a substantially upright position lies with the game referees. 4. Referees are to call borderline cases in favor of the recipient of the Head Shot (i.e. the thrower would be declared Out). 5. If a player is judged to have been defensively protecting him/herself from a Head Shot while in a substantially upright position by putting his/her hands or arms in front of his/her face, this shall be declared a Head Shot Out and only the thrower of the ball will be declared Out. 6. Intentional Head Placement. Referees have the discretion to call the hit player out for intentionally placing his/her head in front of a thrown ball. 7. Intentional Head Hunting. Referees have discretion to call a player out (and eject the player as warranted) for intentionally throwing a ball at the head of any other player (in or out), a referee, or a spectator. 8. High Throw Warnings: If a player throws the ball at neck level height or higher as judged by the referees, their TEAM will receive ONE warning. Three (3) Warnings as a result of high-throw infractions will result in the most recent player to commit a high throw to be OUT. Every high throw thereafter will result in a player going out. 9. High Throw Warnings reset when teams switch sides, at the half-way point of the match. 1. If a Head Shot occurs immediately before, at the same time, or immediately after a player is hit cleanly at the shoulder level or below by another ball, the thrower is out but not the hit player. 2. If a Head Shot occurs after a player is out, but before they are able to get off of the court, the thrower will be called out. The hit player will remain out. 3. A Head Shot cannot cause a fumble. A player hit in the head will not be called out if he/she drops another ball because of the Head Shot. 4. When a head shot occurs, the referee should immediately call a timeout to make sure the player is not injured. The game should be continued using a restart as described under the general game rules. Clarification: This rule is intended to keep the game moving if teams/players are intentionally stalling, not as a method of having people called out. If a captain feels that the other team is holding the balls significantly longer than 5 seconds, they should calmly inform the referees so that they may properly monitor/enforce any concerns. Referees shall take this into consideration, but still allow players breathing room to play. 3. Players must make an effort to retrieve and throw stagnant balls. If no effort is made, then the balls around the player will be considered possession and the player will be declared Out after 15 seconds. 4. Most Balls on One Side: When most of the balls (4 or more) are on one team’s side of the court, a team has 10 seconds to put a ball into play on the other team’s side of the court, even if none are possessed by a player or when none of those players are engaged in active play. This is a loose 10 seconds and is intended to keep the pace of the match moving. Should the team fail to put a ball into play, the referee will declare the opposing team the winner of that game. In the case that both teams have an equal number of balls on their side, they shall share the burden of putting the balls into play as ushered by the referees. 5. A ball is considered to be in a player’s possession if she/he picks it up off the floor, or places his/her hand on the ball for one second or more, with the intention of picking up the ball. 6. Adjustments to the rules can be made by the League Coordinator for untimed games at his/her discretion as long as those adjustments are made clear to the captains of each team. 1. Communication with opposing teams is highly encouraged, but any and all communication should be of a positive nature. Negative communication, whether verbal or non-verbal, including foul or abusive language, arguing, questioning, pointing, etc., shall result in a penalty. How much does it cost to join a Capital Dodgeball league? Registration dues vary by location and night. Capital Dodgeball strives to keep dues low while still providing a quality experience for our members. Most leagues range in cost from $50 – $69. This fee covers insurance, court costs , equipment, player t-shirts, parties, prizes, recruiting, and the tons of other DC Fray events that we will be hosting throughout the year. You definitely get your money’s worth! ← How much does it cost to join a Capital Dodgeball league? We are first and foremost a SOCIAL company. We are starting to offer different competitive levels for dodgeball. Each level from social,gender specific and athletic. Please read your season info page to see if the league is at a different level. What is the difference between the types of dodgeball? Foam – a little more casual but high action with smaller courts and faster games! We use large foam balls in an enclosed court! Rubber – The OG dodgeball game. Large rubber balls, can be thrown pretty hard (no pinching) and it gets INTENSE! A lot of fun just like gym class! ← What is the difference between the types of dodgeball? What’s a Capital Dodgeball game night like? You simply show up at the fields for your scheduled games, you and your teammates play your opponents for about 35 minutes and then everyone heads on over to the nearby sponsor bar for food, drinks, and partying! It’s a ridiculously easy formula that’s seriously fun! Game times vary by location but weekday leagues are run in the evening anywhere from 6pm to 10pm. We’re all about building community with our leagues. Playing and partying hard! ← What’s a Capital Dodgeball game night like? For 10s, there must be at least 5 of each gender on the roster. On the court, there must be at least 4 of each gender. For 6s, there must be at least 1 of each gender to play but an official game is no more than 4 of one gender on the court at a time. This is a DC Fray Co-Ed Social league. We’re all about camaraderie over competition and helping you have fun, regardless of your skill level. That means whether you're a first-time player or a former pro athlete, this league is your weekly ticket to a great time! Join us to team up with old friends and bond with new ones on the best night of the week. And of course the fun doesn’t stop when we leave the field. When the clock hits :00, we head to the bar for some post-game happy hour shenanigans. Games begin April 3rd and run weekly from 7:00-9:00 PM. For this 6v6 Co-Ed division there will be a required number of females (2) on the court at all times. Teams will play 15 minute halves, 6v6 a side and are required to have at least 9 players on their rosters. We welcome free agents and small groups and will do our absolute best to match players to teams.